Caroline has worked with Beyond for quite a few years now, having responded to an advert that said ‘must love dogs’. Although principally her role is dealing with the administration and accounts she is often to be found stroking the dogs, cuddling the cats and patting the horses. Caroline can also be found at Beyond trainings and events either hosting or as a participant, and occassionally both. 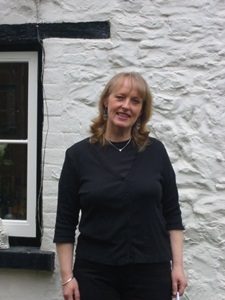 Caroline has a varied background in business and hospice care and is trained in massage and aromatherapy. She is also a NLP Master Practitioner. She spends much time with her own dogs and fosters unwanted older dogs. She also sings with a choral society and folk group and has recently been encouraged to pick up her guitar again after several decades of it sitting in the corner of a room.